There is no doubt that Samsung is sure to lose boatloads of money over the Samsung Galaxy Note7. Today, the company announced that it expects 3.5 trillion won (around $3 billion) to negatively impact the operating profit through Q4 and Q1 of 2017. That’s after Samsung’s re-allocation of the expected cost expense of the discontinuation of the Note7 to its Q3 report. It expects to see a drop of $2.2 billion in Q4 to ride the year out, while the other $800 million impact is expected to be seen in Q1 of next year. The company expects that by Q2 of next year, it will have bounced back from the Note7 fiasco. It could be right, as we are expecting to see the Samsung Galaxy S8 by then. It will be hard to say how the recall will affect sales for the company’s next flagship. 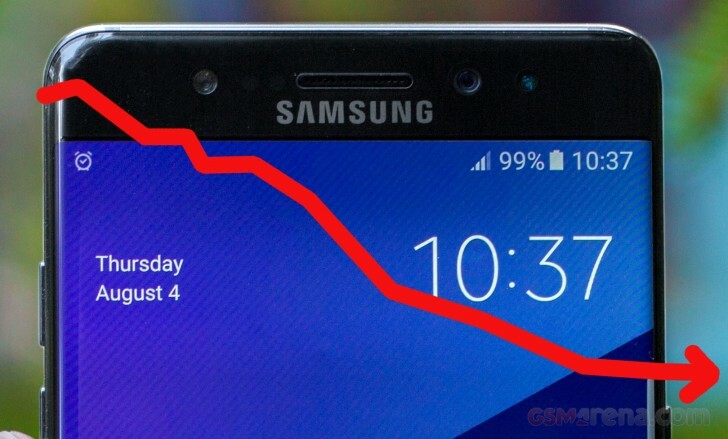 Samsung expects this drop in revenue due to the void left behind by the Note7 and will continue to equalize itself by boosting production of the Samsung Galaxy S7 and S7 edge to try to make up for lost revenue. Likewise, it will expand the sales of these phones.